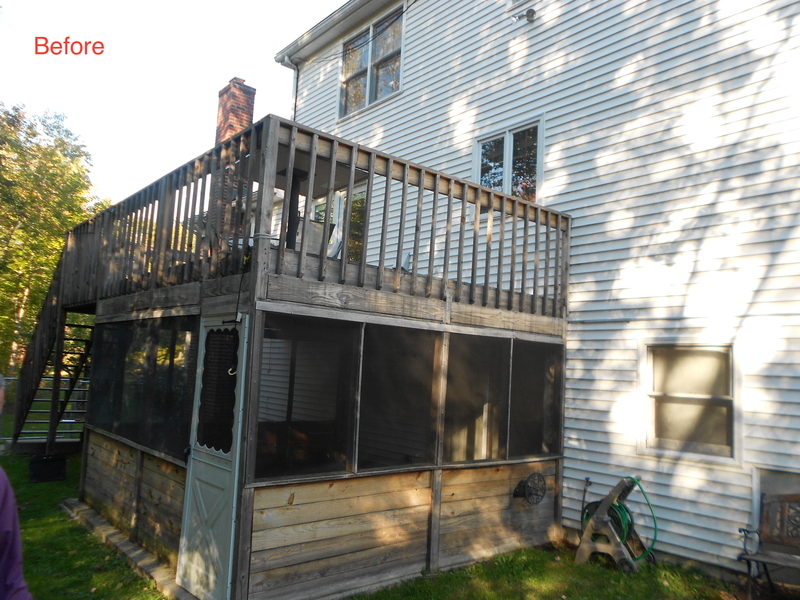 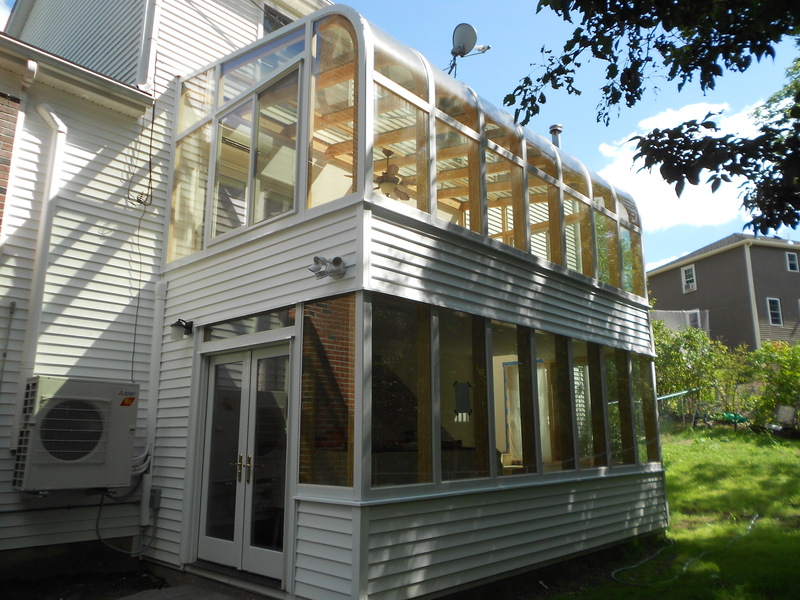 This two-story sunroom addition expanded living space. 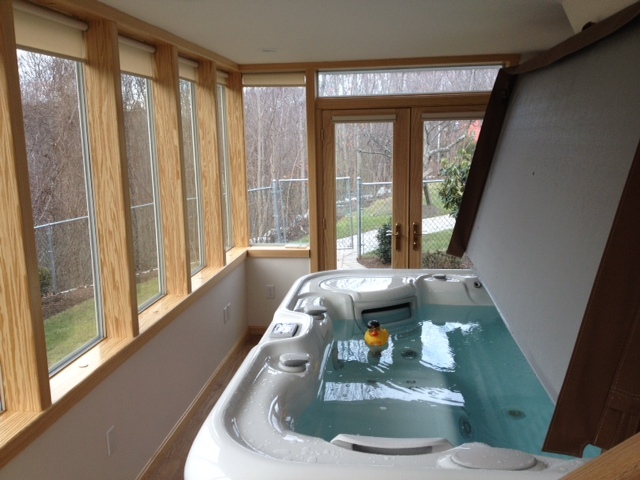 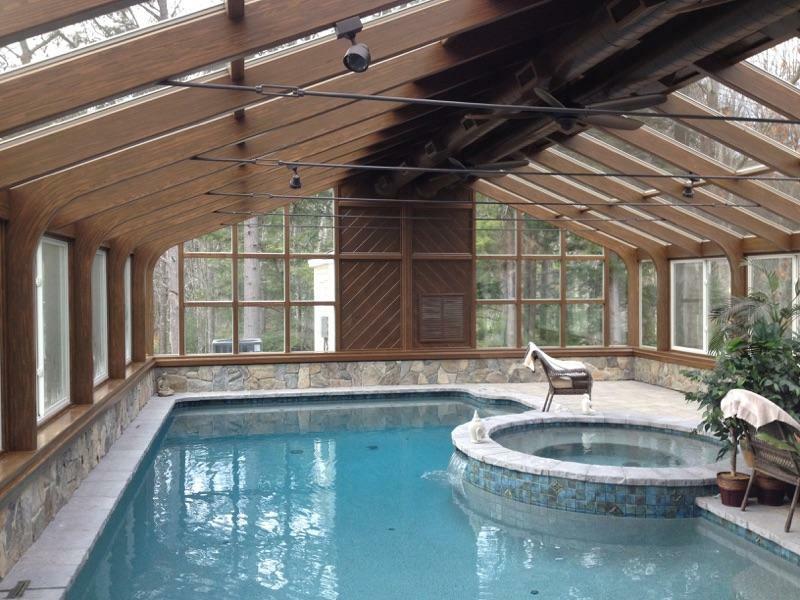 The lower level includes an enclosed hot tub area overlooking the beautiful back yard. 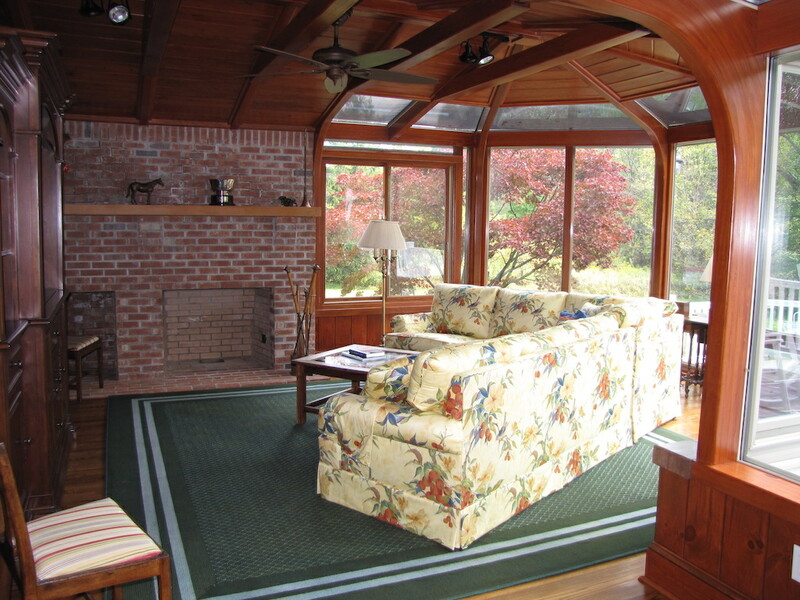 The upper level house a cozy sitting area as well as a dining area. 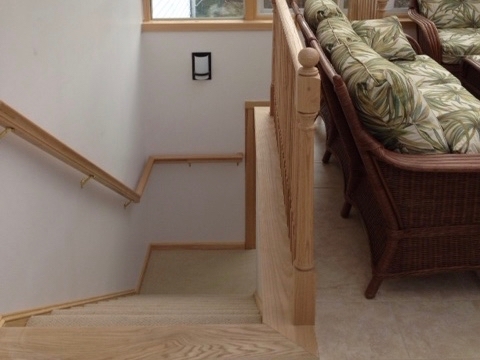 This two-story addition also incorporates a set of interior stairs, so the exterior icy stairs can be avoided in the snowy winter months. 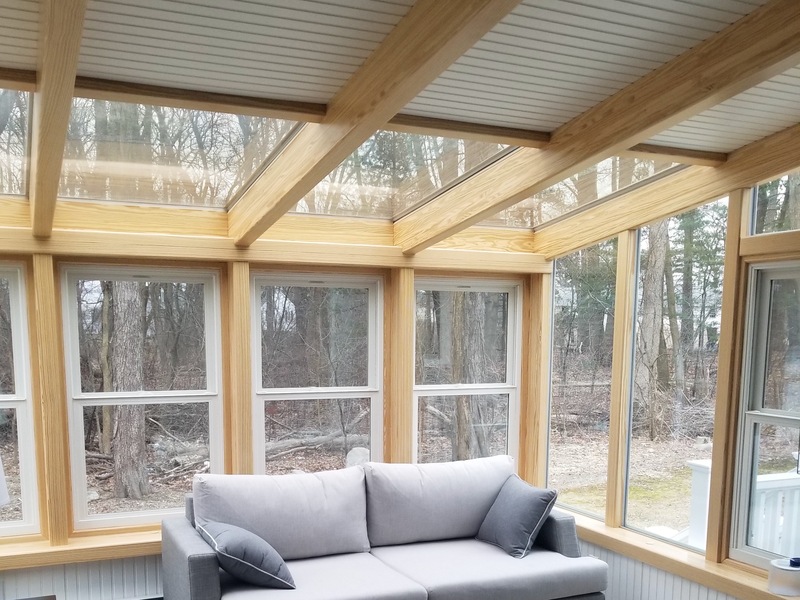 "We love our new Brady Sunroom that replaced our deteriorating two-story deck … still have a hard time to believe it is real, and not a photograph in a magazine." 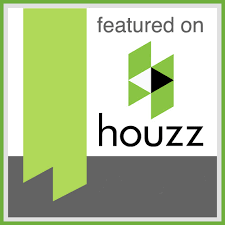 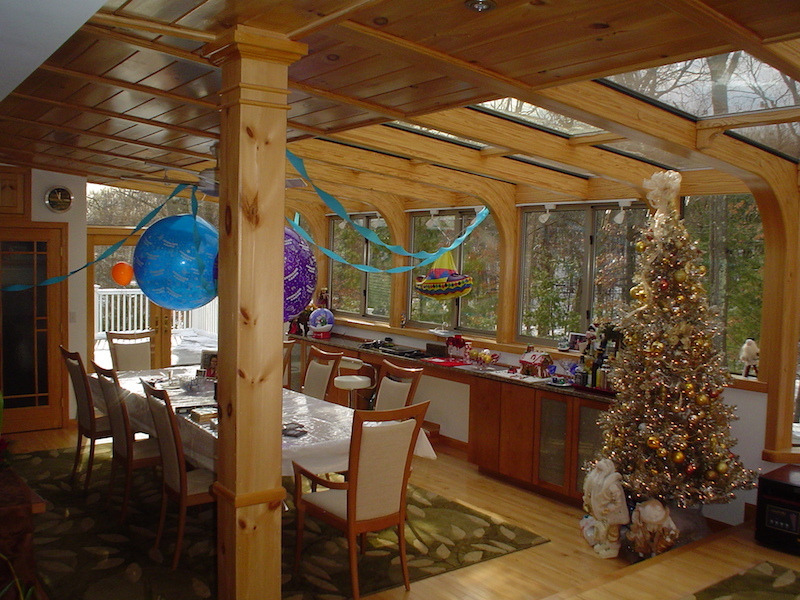 "…we use the room year round … really enjoy experiencing the four seasons and the acrobatic antics of squirrels and birds with our wooded view." 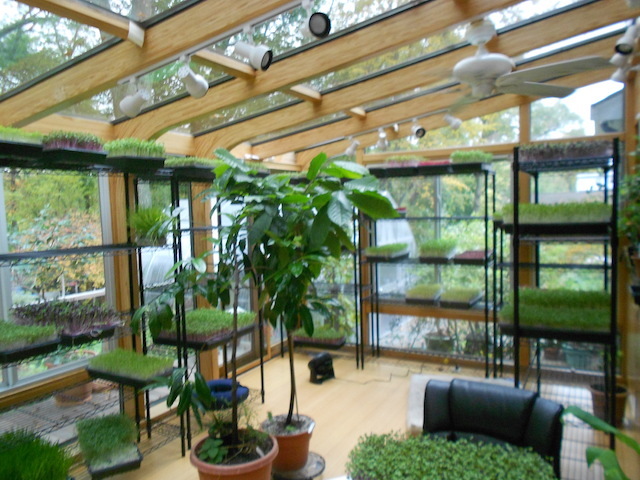 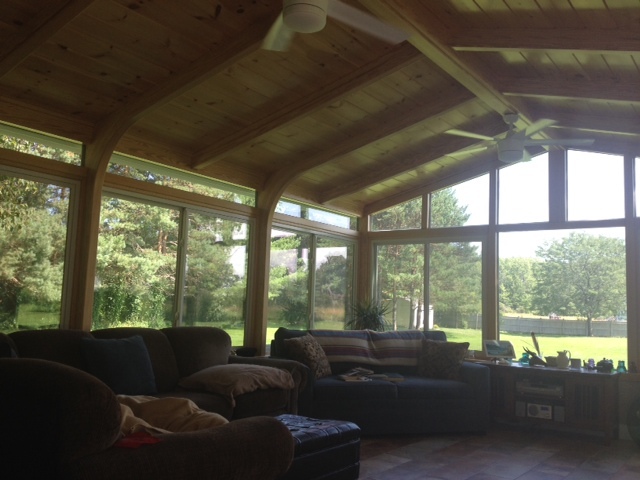 "… the sunroom was warm all winter, even to the point of being able to get some ray even while snow was on the ground." 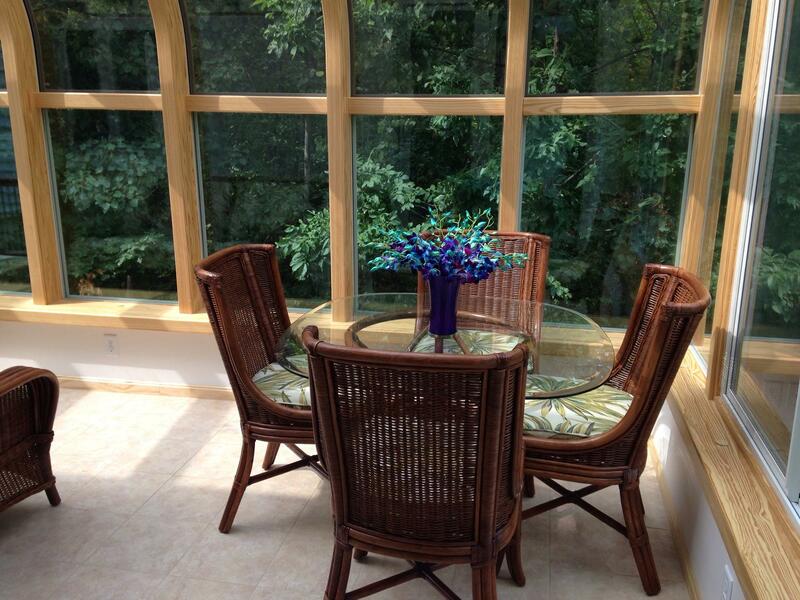 "… who needs to go on a vacation with our own tropical / spa retreat available to us every day? 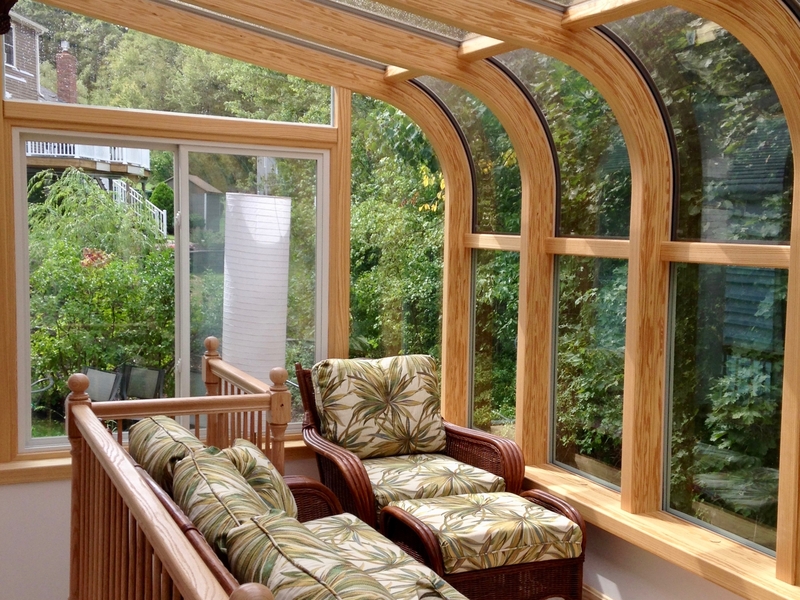 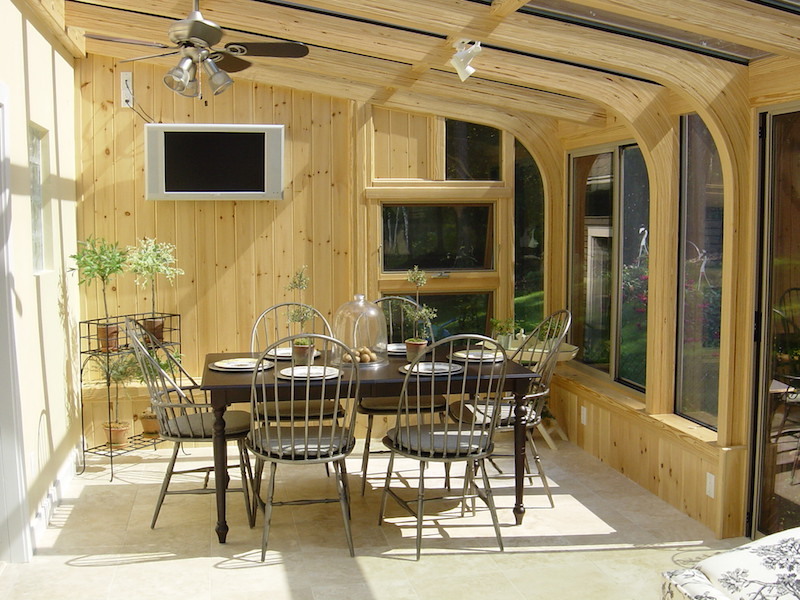 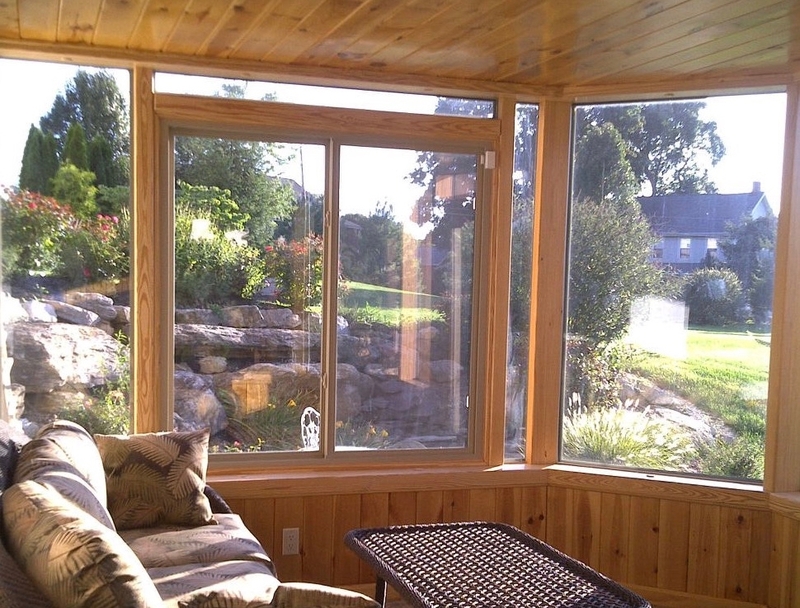 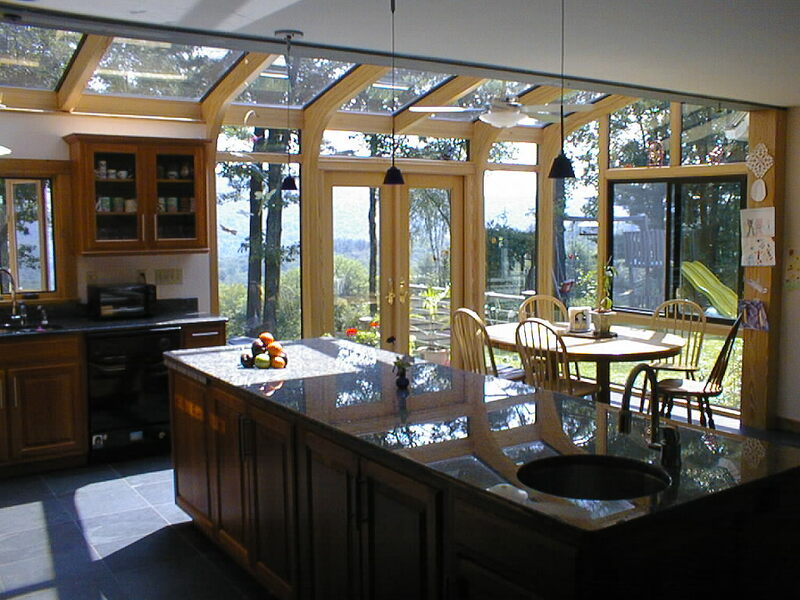 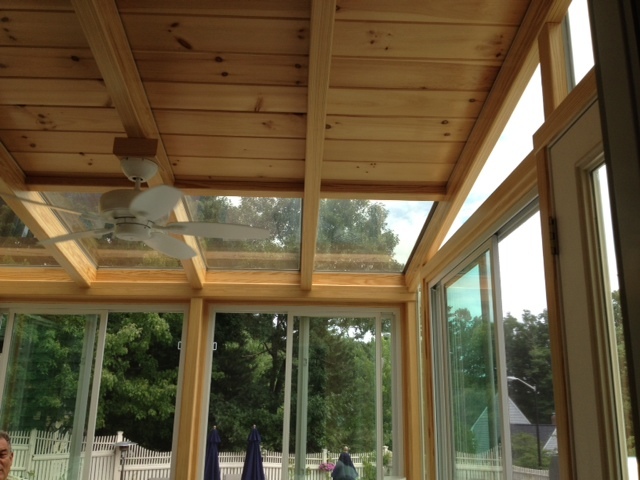 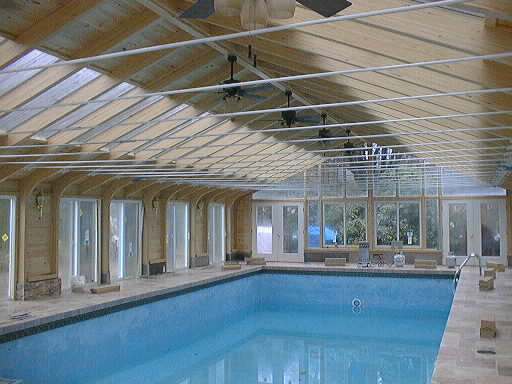 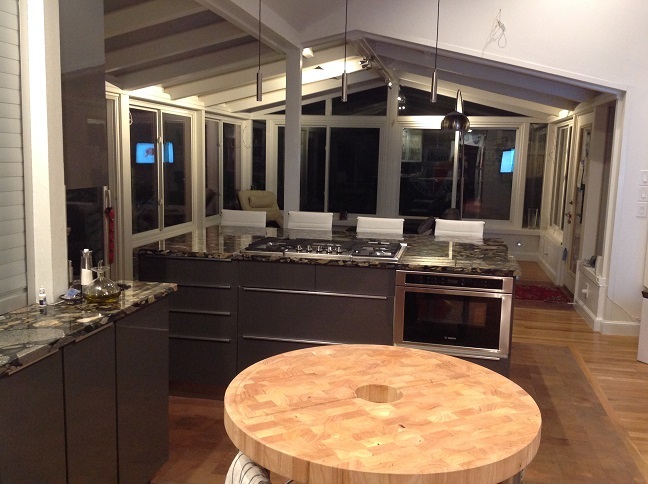 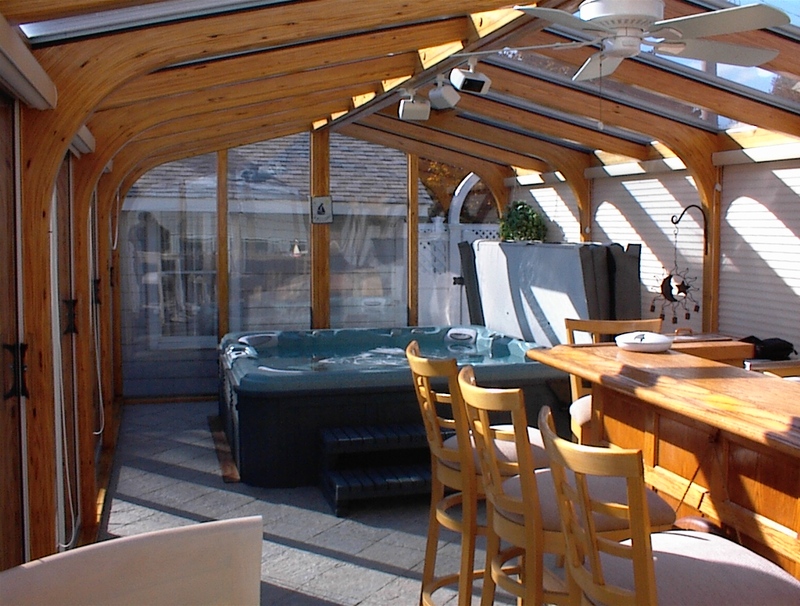 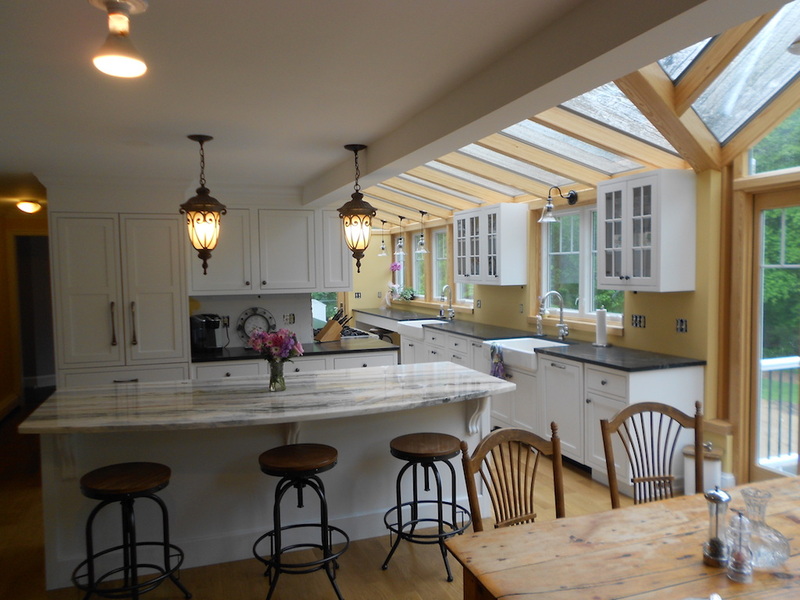 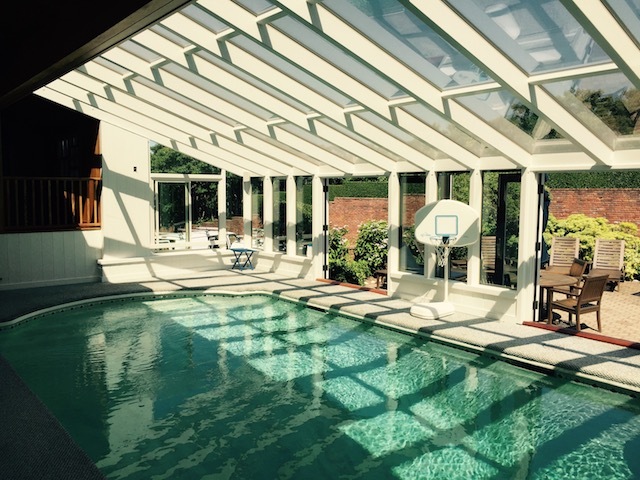 We would definitely recommend Brady Sunrooms to others who would want to add a personal retreat space to their home."